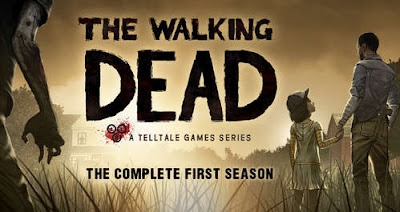 TellTale Games finally released the latest update for The Walking Dead Season One full episodes, and we have the unlocked mod apk for your Android phones and tablets! This latest version, which was officially released on March 2 2016, doesn't bring much content except for some drag sensitivity fixes. But we didn't expect much anyways, since there are no more episodes to add, and the complete first season was already out last year. If you haven't played the game yet, head down below to download The Walking Dead Season 1 full apk with all episodes and kill you some zombies! The story, for those unfamiliar with it, is based on the popular TV show. It follows a convicted felon as he tries to survive and protect a little girl in a world ravaged by the living dead. Your choices, people you meet, locations you visit, all affect the outcome of the story, so play wisely! There is a specific version for all devices (Adreno, Mali, PowerVR, Tegra), choose the one according to your GPU. Install v1.18 apk, extract Data and move "com.telltalegames.walkingdead100" folder into sdcard /Android/obb/ , and run the game.